Friday | April 28, 2017	Pretty in pink, and an absolute cake that has ladies fall heads over heels for, the Bakerzin’s Lychee Rose Cake. 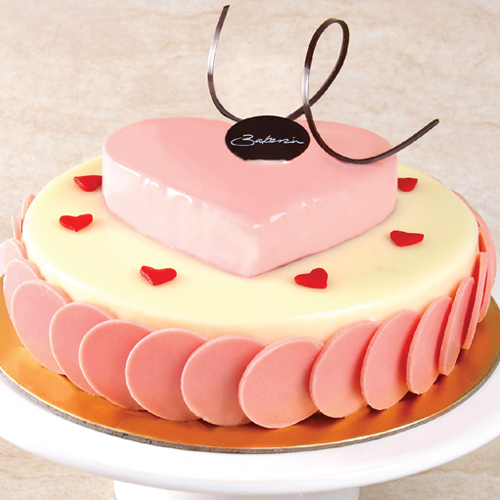 Each layer of sponge and mousse melts softly with each bite and the robust flavours of lychee and rose heightens your addiction with every helping! This is your perfect cake for pure indulgence, or as a celebratory cake this could not be more perfect for your mom or loved ones. Now available in 1 size for whole cake, Size 6 approx 680g, and a single piece for tea time with your girlfriends!